The Dan Gibbons Foundation | Helping those in need in DuPage County since 1984. 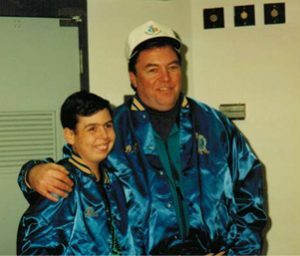 The Dan Gibbons Foundation is probably best known for our annual Dan Gibbons Turkey Trot event. To date, we have donated nearly $3.9 million dollars. We take care to keep all funds raised within the County of DuPage. The funds have provided nearly 4 million meals over the years and the event brings families and a community together on a day for giving thanks. The organization recently expanded to include other events throughout the year. 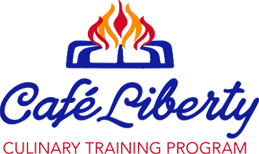 In June 2017, we announced the new Cafe Liberty culinary skills training program. Our flagship event, the Dan Gibbons Turkey Trot happens every Thanksgiving morning in Elmhurst, IL. A new culinary skills training program at 120 E. Liberty Drive, Suite 100 in Wheaton. An annual "longest day of golf event" in which 36 golf warriors will each play 100 holes of golf in one day. Donations are always graciously accepted and go to benefit all of the causes of The Dan Gibbons Foundation. Feel free to email us at info@dangibbonsfoundation.org or fill out the form below. © Copyright 2019 Dan Gibbons Turkey Trot Foundation.